With the last load in the dryer, I went through my pictures - again - and made this small selection. I guess I took about a zillion of pictures on our trip. I really can't help it. I just like to take my camera with me. Just in case. The kids do not always appreciate it when they see me grabbing my camera. "Oh no, mommy, you're not taking your camera with you, are you?!" 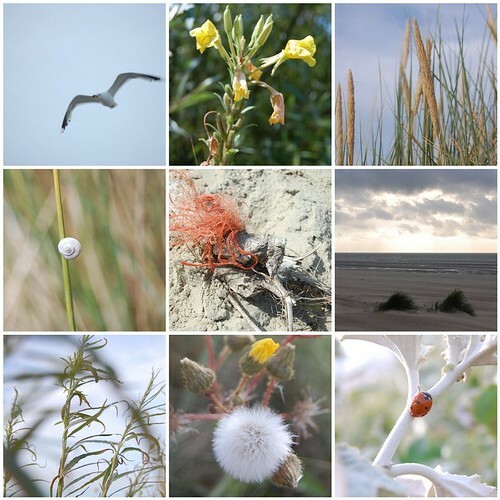 One evening, though, we had so much fun on the beach - the girls, me and my camera and ... some ladybugs. I'm not a specialist, but for some reason there were lots and lots of ladybugs this year. And WE can tell you: those little creatures are FAST! Just try to imagine the giggling and laughing and "Oh, it tickles me!" and "Oh no, it's getting into my sleeve, mommy! Quick! Take a picture!!" when looking at these pics. 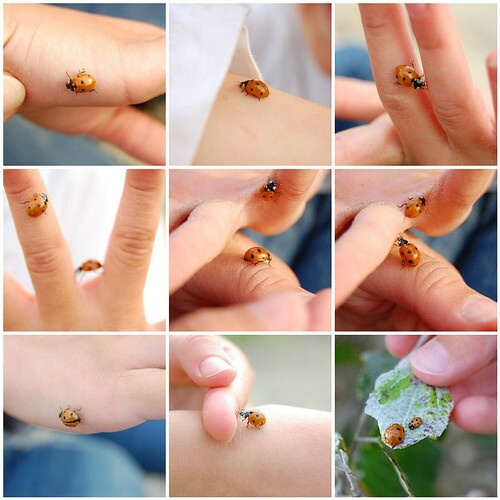 An absolutely fun evening on the beach: me and my girls and some ladybugs!